ou want to look your best and feel your absolute best on your special day. So why wouldn’t you want to make a statement with your footwear and match your heels to your couture gown. Yes, true you may only wear that pair of shoes once, but the memories, photos and footage that will last from your wedding day will be significant. Whether it’s the rolling hills backdrop or the beautiful luscious landscape, winery weddings carry a definite romantic appeal. 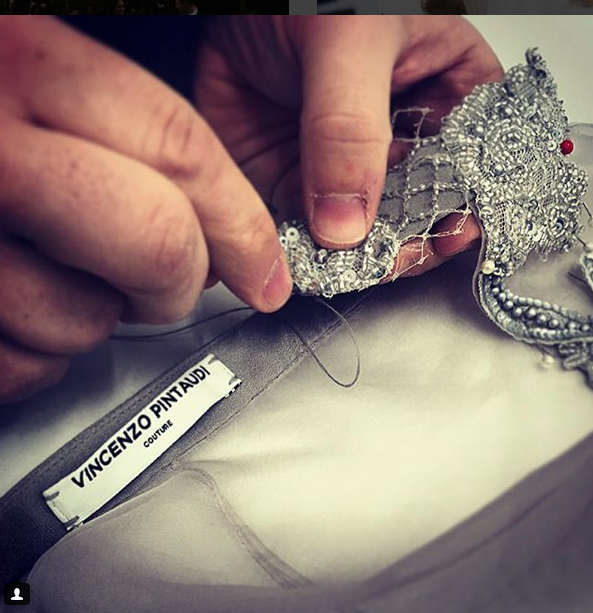 Here are just a few reasons why the latest trend is a vineyard location for your wedding day and see who Vincenzo Pintaudi Couture rates the Top 5 Wineries in Victoria for your special day. The wedding cake can be an elegant centrepiece or a subtle sophisticated dessert station. Current trends include the “naked” cakes, metallic accents, cheese wheel towers and the roaming dessert stations and candy buffets.